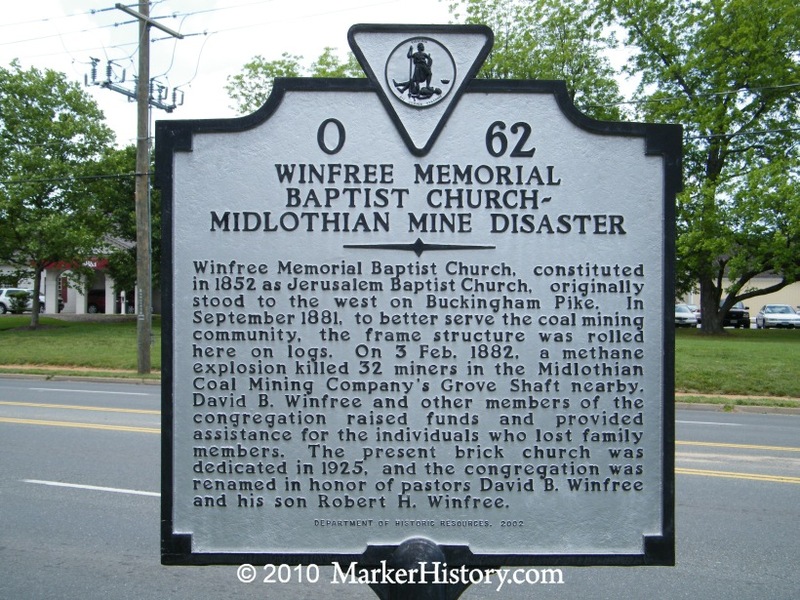 Coal Field, Va., Feb. 3 -- An explosion occurred at the Grove shaft of the Midlothian coal mines, about a mile and a half from here, at about 1 o'clock this afternoon. Thirty-two men were caught in the shaft, and there is little or no hope that any of them will be got out alive. The gas testers went down nearly to the bottom of the pit three times, but were forced to return on account of the smoke and gas, which were suffocating. They report the pit on fire, but they will make another effort in the morning to search for the unfortunate men. The news of the disaster spread very rapidly, and in a short time a crowd had gathered at the shaft, and the scene was most distressing, as nearly everyone had some relative or friend among the entombed miners. The cause of the disaster is not positively known. By some it is attributed to gas, while others say the boiler in the pit exploded. Mr. George M. Dodds, the Superintendent, states that the gas-testers made an examination this morning, and reported that there was no gas to burn. There is no doubt, however, that those who were not killed by the explosion will be suffocated by black damp and smoke with which the pit is choked and through which no fresh air can penetrate. The shaft in which the explosion occurred is nearly 600 feet deep, running about three-quarters of a mile in a lateral direction. 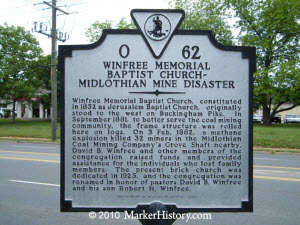 The Midlothian Coal Mines belong to the estate of the late H. H. Burroughs, of New York, and cost, about 12 years ago, between $400,000 and $500,000.